I woke up to the sound of rain last Sunday, and the to-do list started pummeling faster and harder than the drops against the skylight. The sink has acquired that nasty yellow scum line on it again. Must clean this afternoon. When’s the last time I got in a good workout? Must connect with the treadmill at some point today. Oh yeah, I’m scheduled for coffee duty at church. Must get out of bed and caffeinate the congregation. As the day wore on, the rain let up, but not so my inner taskmaster. The well-meaning friend at church described the dinner she was making for her husband that night. (I couldn’t pronounce most of the ingredients, let alone do any sort of alchemy with them in the kitchen.) Must cook something more exotic than tacos tonight. The freelance project deadline is looming. Must make a dent in that today. But finally, ever so quietly, I heard a subtler voice beneath the deluge of my to-do list. It was a voice reminding me that today was the Sabbath. The day that flies in the face of productivity. The day that in some counterintuitive way recharges me to be whole and refreshed so I’ll be ready to face the six days ahead. The day that’s intended to be devoted to Someone else’s agenda rather than my own. It comes the very moment you wake up each morning. All your wishes and hopes for the day rush at you like wild animals. And the first job each morning consists simply in shoving them all back; in listening to that other voice, taking that other point of view, letting that other larger, stronger, quieter life come flowing in. And so on, all day. Standing back from all your natural fussing and frettings; coming in out of the wind. It was a battle—I’m not going to lie. For once, though, the Sabbath won, and this was a battle I was happy to lose. The sink still sports its yellow ring, the treadmill accumulated dust all day, the freelance project was categorically ignored, and I reheated leftovers for dinner. And you know what? Nobody died. The world didn’t end. I’m writing this down in hopes that I’ll remember. Next time, when all the to-dos rush at me like so many wild animals, I want to take my cues from Lewis and let that larger, stronger, quieter life come flowing in. I invite you to join me. Come on in, out of the wind . . . and rest awhile. Hello, my name is Stephanie, and I’m a multitasker. And it got me to thinking: What is so special about music that God would have us set aside certain songs for the Sabbath? One of the bonus gifts I received with the Daniel-package is the gift of music. On any given day, our home is graced with strains of live music—anything from the Beatles to Bob Dylan to worship music. Daniel plays the bass guitar for our church band, and on the Sundays he goes early for practice, I like to go with him. In the spirit of efficient multitasking, I usually I bring along something I’m working on—a book to read, a letter to write, some scribbles I’ve been wanting to put to paper. But after reading Psalm 92, I decided to just do one thing on a recent Sunday: soak in the songs for the Sabbath Day. While I sat there listening, I noticed something interesting about the rest notes. As lovely as the music is, the rests make you appreciate the melody all the more. to sing praises to the Most High. *Or an ice-blue Fender bass guitar. It’s startling how much I define my identity based on what I’ve accomplished in a day, on the tangible evidence I have to show for myself by the time I turn in for bed. God designed a day of rest to be the antidote to this frenetic appeal to define our worth by what we produce. Each week I hear the Sabbath whispering in my ear, reminding me that I’m loved because I’m a child of God, not because I crossed four things off my to-do list. On a Sunday a while back, my hubby was sick—the first time he’d had anything more devilish than a cold since I’ve known him. He’s the hardworking, highly active type, riding circles around me (literally! on his bicycle! ), so it was disorienting to see him flat on his back for a week, ingesting nothing but Sprite and the occasional Ritz cracker. But perhaps the bigger surprise was how I responded to the sick day. I should have seen it as a gentle nudge from on high, reminding me that this was the day to slow down. But I was antsy that the day was slipping by, that the laundry was piling up, that my in-box was filling up with unread messages. And for most of the afternoon, I confess that I did not rest. In body or in soul. Later that evening, when I saw my husband piled under blankets, eyes glazed, I realized I had a chance to redeem what was left of the Sabbath. And so I pulled out the newspaper—the old-fashioned kind with paper and ink—and read it out loud to him (even those tedious NBA box scores, which flies in the face of productivity if anything ever did). Then I sat in my big comfy chair and cozied up with a cup of tea and a book I was reading—not for any of the three book clubs I’m in, but simply out of sheer delight. It felt dizzying and terrifying and, to my surprise, even sacred. For the first time this Easter, it struck me just how many key events of the Christian faith are crammed in the span of a single week. Holy Week starts with a bang on Palm Sunday, replete with a triumphal entry and jubilant hosannas. The next few days are filled with action—tables are turned, miracles are witnessed, final teachings are delivered. Then comes Maundy Thursday in all its drama…a foot washing, a supper steeped in meaning, a wrenching betrayal, prayers of agony in a garden. Close on its heels is Good Friday, with the dark march toward Golgotha, nails pounded into flesh, the rending of a curtain. Then, after a whirlwind of a week, Saturday comes. And with it…silence. At the close of Salvation Week, as with Creation Week, God rested. Even in the busiest week of the church calendar, Jesus took a day of rest. There was nothing more he could do to add to the completed work of grace on that silent Saturday. So I wonder…what kind of audacity leads me to think there’s more I must do? Let us rest in the completeness of that perfect day of rest. In this post from January, I wrote about my journey toward embracing a day of rest. Here’s the latest on my Sabbath experiment. Not long ago I was pulled over for speeding on a Sunday morning—on the way to church, no less. The irony was not lost on me. A day of rest, and I’m rushing to get there? I managed to explain my way out of the ticket, but not the breaking of the heart of the Sabbath. One thing I’m noticing about the Sabbath is that rest, by its very nature, forces a slower pace. And while on the one hand that sounds appealing, it can also be terrifying when you’ve grown accustomed to the adrenaline-inducing rush that comes with our culture’s frenetic pace. I’m finding that on Sundays I have to intentionally take my foot off the gas pedal. I have to resist the urge to go faster, even when I’m not going anywhere. One baby step I’ve taken to slow down the Sunday pace is to reconsider my communication. E-mail, Facebook, and Twitter, by their very design, are fast paced. 140 characters. A jotted note. A quick Send button. I’m realizing, come Sunday, that I need to unplug. I’m not suggesting this as a blanket rule for everyone, but for me personally, media is no friend to rest. So I’ve taken to writing letters on Sundays instead. Old-fashioned, pen and paper letters. The kind with a stamp. I’ve been surprised to discover that not only is the form slower in letter writing, but so is the content. I write about different things when I’m penning a letter than I do when I’m shooting off an e-mail or a Facebook message. I tend to write about bigger things, deeper things, more permanent things, not just the wispy matters of the right-now. And that feels in line with the Sabbath to me: slowing down to open a window to the soul. How about you? What does restful (and not restful) look like for you? Have you taken any steps toward implementing a Sabbath lately? When my grandmother was a girl, Sunday was a day for taking the team of horses to her little white country church in North Dakota. Her father did the bare minimum of chores around the farm—like milking the cows before the sun came up—but all other work ceased. Even knitting was a borderline activity, since some people argued the creative aspect of it constituted work. When my mom was growing up, most stores and restaurants were closed on Sundays, and on the rare occasion when her family had to go to the drugstore to pick up an emergency item, her father would apologize to the cashier for making him work on the Sabbath. A generation later, when I was a kid, Sundays were family day at my house. We’d have brunch together after church, and then we’d go on a walk in the woods or play games together. No getting together with friends, no organized sports. Now that I have a home of my own, I’m shocked to find how much our culture (and me with it) has changed in its attitude toward the Sabbath. Work has now infiltrated every part of life—it’s on our laptops, on our phones, at our very fingertips. While previous generations had to physically go out to the field or in to the office, work now finds us. We have to go to great lengths if we want to avoid it. For the most part I’ve looked at God’s instructions about the setting aside a day of rest as something of an anachronism—rules that were meant for people in the Old Testament but didn’t really apply to us today. In fact, somewhere along the way I even got the idea that it was more righteous to have a strong work ethic, to be productive—even on Sundays. But the more I’ve looked at what the Bible says about the holiness of rest, the more trouble I’m having rationalizing away those commands. And the more I’m realizing, to my surprise, how much the instructions smack of delight rather than duty. I’m also recognizing that while Jesus was criticized by the religious leaders of his day for breaking the Sabbath, he wasn’t throwing out the concept altogether. When he did things that enraged the religious leaders—most often healing the blind and the lame and the deaf—he wasn’t disregarding the Sabbath; he was rejecting the legalism of the manmade rules surrounding it (see here for an example). He was getting at the heart of the day of rest—setting aside time to slow down so we can honor the Lord, catch our spiritual breath, refocus on what’s really important. So what does a grace-based view of a day of rest look like? I’m not entirely sure, but I want to find out. 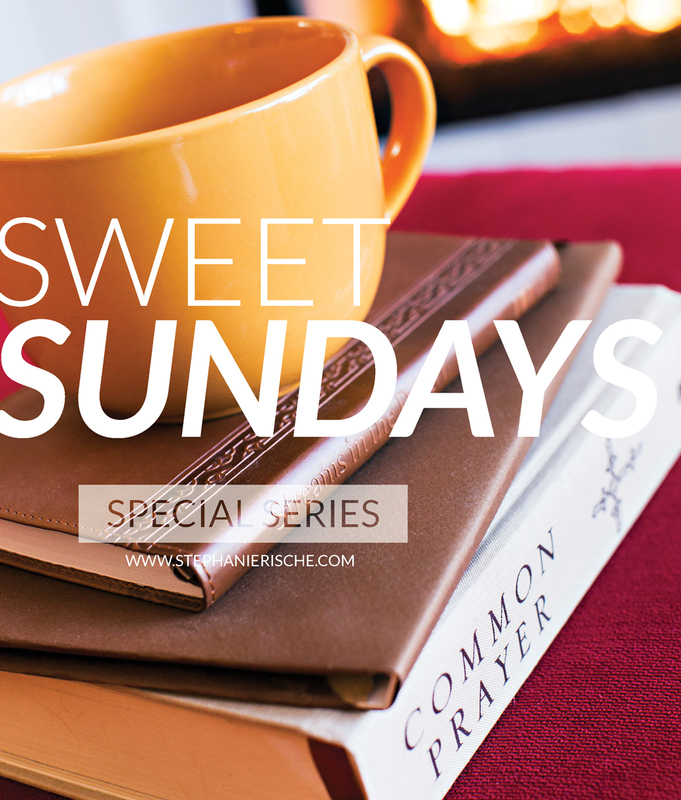 With my bent toward legalism, I’m not sure the best idea would be to make a bunch of Pharisaical rules for Sundays. And I don’t want it to be a day focused on the negative—what I can’t do. I want it to be about what I can do—what brings life and freedom and closeness with God. Does it feel like work? I don’t know exactly what this adventure will look like, but I invite you to join me in reserving a weekly day of rest. I invite you to explore what it might look like for us to cease work and discover things that fill us with life and peace. I’d love to have your feedback and help as I embark on this quest. What do you need to turn off or stop doing to allow yourself to rest? What feels like true rest for you? 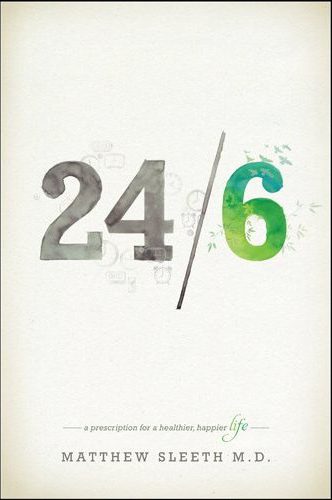 Recommended reading: Matthew Sleeth’s book 24/6 was instrumental for me in kick-starting this journey toward rest. I highly recommend it—it’s an easy, engaging, grace-filled read. I’m so glad you stopped by. I hope you will find this to be a place where the coffee’s always hot, there’s always a listening ear, and there’s grace enough to share. 20 Days of Prayers...just for you! Submit your email to receive a FREE copy!